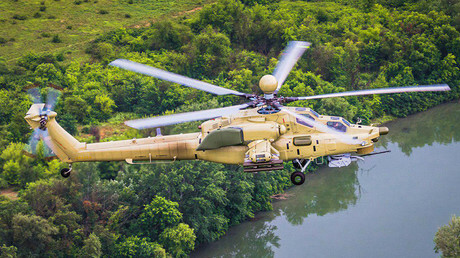 The cutting-edge interceptor aircraft, which has been under development for several years, will be able to reach space and even potentially operate without a pilot, according to the CEO of the MiG corporation working on the project. The research and development of the PAK DP (perspective aviation complex of long-range interceptor) was launched by the MiG Corporation in 2013. PAK DP, dubbed by media with the unofficial designation MiG-41, is expected to replace the aging long-range interceptor MiG-31 and its variants. The new fighter will be a spiritual successor of MiG-31, MiG Corporation CEO Ilya Tarasenko stated, shedding some light on the interceptor under development. “[The development] is at the stage of finalizing the image of the plane. It will be a gradual transition from MiG-31 to PAK DA,” Tarasenko told RT at the Army-2017 expo in Kubinka on Wednesday. The “Army-2017” forum is held in the “Patriot” Congress and Exhibition Center, Alabino Military Training Grounds and Kubinka Airfield in Moscow Region. The forum features cutting-edge novelties of the defense industrial complex and is a platform for holding negotiations and striking deals. Aside from the experts, the event also attracts the general public to marvel at the deadly military hardware on the ground and in the air. The plane, however, will not be just a modernization of MiG-31, it will be an entirely new machine, having “the ability to operate in space, new weapons, new speeds, new operational range,” Tarasenko told Zvezda TV channel on Tuesday. “It will be an entirely new plane, where entirely new technologies to operate in the Arctic zone will be utilized. This plane will safeguard the whole border of our homeland. Later, the project will become unmanned,” TASS quoted Tarasenko as saying. While the plane is still under development, it might go to into production by the mid-2020s, Tarasenko believes. “We’re shaping our technical offer, so that the customer would make a decision on the need to develop the plane. … According to our internal estimates, we should make it to the serial development in 2025,” Tarasenko told RT. To meet expectations, the new plane should be able to fly at speeds at least four times faster than the speed of sound, Russian media earlier reported, citing renowned test pilot Anatoly Kvochur. If the plane would be able to reach such speeds, it would be likely packed, to some degree, with artificial intelligence control systems, to help human pilots to cope with the extreme flight conditions, aviation expert Fabrizio Poli said. 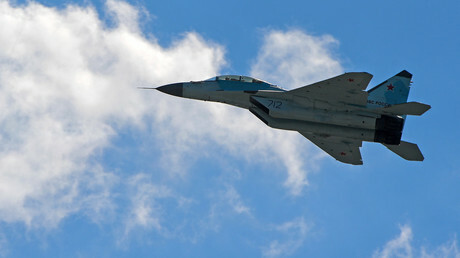 The plane might be also equipped with laser weapons, as Russia possesses prototypes of such arms, according to Vladimir Mikheev, an aide to the Radio-Electronic Technologies Concern Deputy CEO, who believes, however, that such systems will belong to the sixth-generation fighters. “The laser weapons will allow this interceptor aircraft to intercept enemy missiles and disengage the targets,” Poli said.